Austin is the ideal place to enjoy a long weekend. But don’t expect to just kick back and relax. There’s way too much to see and do, from shopping on funky South Congress Avenue to stand-up paddleboarding on Lady Bird Lake and seeing live music in one of the many clubs around town. Get ready for three jam-packed days of fun! Sunset Bat Cruises on Lady Bird Lake, credit Geoff Duncan. Explore downtown with a Walking Tour from the Austin Visitor Center. Pick your own starting time and place – your guide will tailor a tour to suit your interests – or join a guided tour. For the ultimate Austin music tour, visit Austin City Limits (ACL) Live and get a behind-the-scenes look at The Moody Theater, where the famed Austin City Limits television show is taped. Or join in the Austin Live Music Crawl with Austin Detours, led by a local musician who will take you off the beaten tourist path. Discover hidden gem music venues tucked into neighborhoods and see 2-3 shows in a three-hour tour span. Grab a quick lunch at the food trucks in east Austin. Local favorites here include Northern Thai street food from DEE DEE, savory smoked meats from Micklethwait or flavorful vegan fare from Arlo&apos;s at The Grackle. Next, take a shopping stroll along South Congress Avenue, known for its funky stores and chic boutiques. Check out the kicks at Allens Boots, one-of-a-kind jewelry and clothing by local artisans at Parts & Labour, bulk penny candies at Big Top Candy Shop and wild costumes at Lucy in Disguise With Diamonds. Keep caffeinated with an iced Turbo from Jo&apos;s Coffee and snap a souvenir selfie with the “I love you so much” mural painted on the coffee bar’s wall. Other weird and wonderful murals that make great photo opps include the iconic “Greetings from Austin” mural in the South Austin neighborhood and the silly “You’re My Butter Half” in East Austin. Or head out for a craft cocktail at The Hightower, which offers a daily happy hour. In the West Sixth area, toast the man in black at the divey Mean Eyed Cat, a Johnny Cash-themed bar that has a happy hour Mon.-Fri.
Once the sun begins to set, line up on the Congress Avenue Bridge to witness a staggering 1.5 million Mexican free-tailed bats fly into the night sky from beneath the bridge, which takes place nightly from spring through fall. Grab a spot among the crowds on the bridge’s sidewalk or take to the water with Lone Star Cruises or Capital Cruises, which will put you right in the middle of the action on Lady Bird Lake for an unbeatable view of Austin’s unofficial mascots. Guero&apos;s Taco Bar. Credit Richard Casteel. 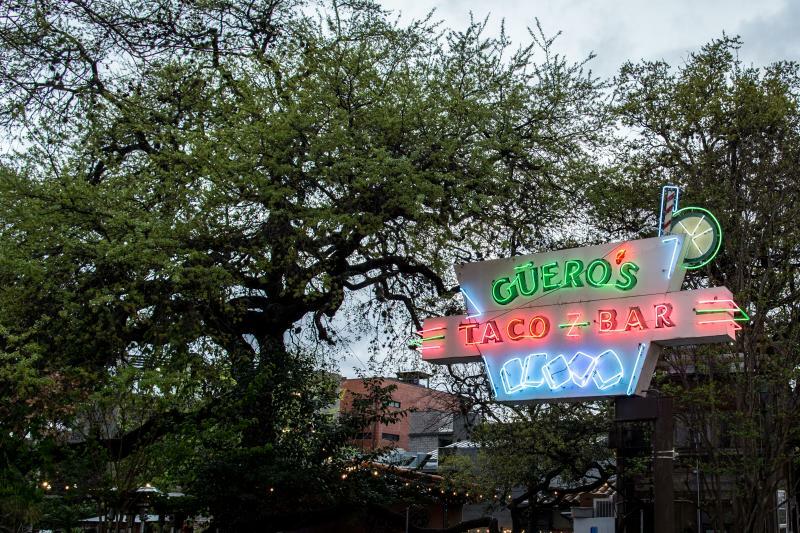 For dinner, circle back to South Congress for homemade Mexican dishes (with made-from-scratch tortillas and mole) and icy hand-shaken margaritas at Güero’s Taco Bar. Its Oak Garden features live music Wed.-Sun. nights. Start your day with brunch, but make it an all-afternoon affair at the new location of Easy Tiger Bake Shop & Beer Garden at The Linc. Pair your corned beef-and-potato hash with a mimosa in the sprawling 150-seat beer garden sporting an outdoor stage, then take a swing at one of the ping-pong tables after your meal. Or, nab a patio seat at the chic Launderette, serving an eclectic brunch menu that includes everything from Tandoori chicken salad to a fried egg BLT with avocado and pimento cheese. Don’t miss the pastry of the day from acclaimed Executive Pastry Chef Laura Sawicki. 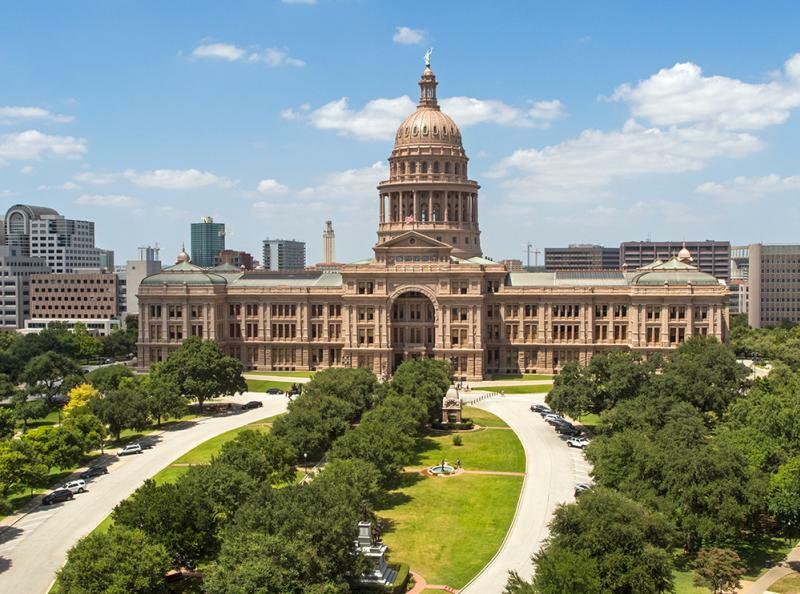 Explore the Texas State Capitol Complex at the Texas Capitol Visitors Center. 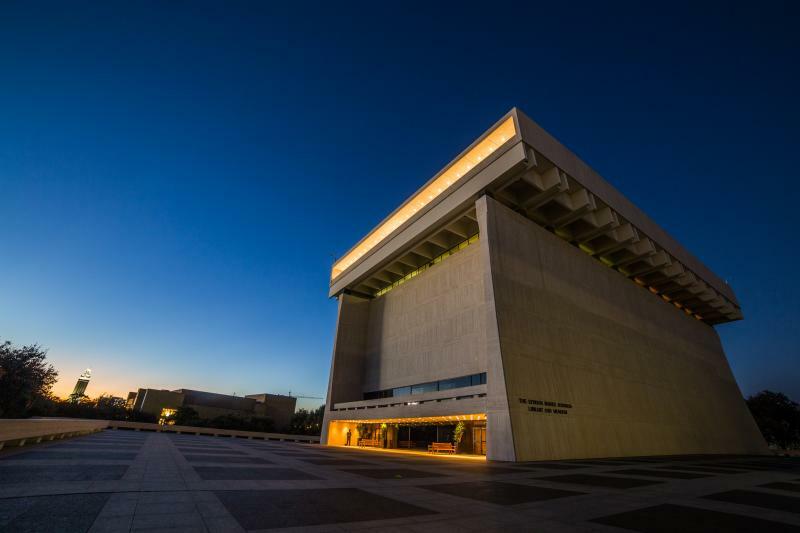 Housed in the renovated 1857 General Land Office Building that was originally used to store state land records, the Center features fascinating exhibits on the history of Texas and offers free guided tours of the Texas State Capitol. Within the East Sixth Street National Register Historic District you’ll find the Brush Square Museums, a trio of free must-see museums. The Susanna Dickinson Museum is the stone home of the only Anglo adult survivor of the Battle of the Alamo; the O. Henry Museum is the quaint, Victorian-style former residence of the famed short story writer; and the Austin Fire Museum is housed in the still active Fire Station #1, built in 1939. For lunch, the LeRoy and Lewis food truck offers a creative take on barbecue, with meats sliced to order and sides like the yummy pumpkin gooey butter cake. Need a caffeine pick-me-up? Grab an espresso at the neighboring Cosmic Coffee. LBJ Presidential Library. Credit Jay Godwin. The University of Texas at Austin is home to an impressive collection of museums. The Blanton Museum of Art is one of the country’s leading university art museums, with works by Mark Rothko and Thomas Hart Benton; the Harry Ransom Center houses cultural archives that include the Watergate papers; and the LBJ Presidential Library features inspiring exhibits on President Lyndon Baines Johnson and his beloved wife, Lady Bird Johnson. Spring is prime time for patio dining. For dinner, sample the Italian specialties beneath an ancient oak tree on Olive & June’s patio. Or throw back some freshly shucked oysters al fresco at Perla’s Seafood and Oyster Bar. After dinner, do some two-stepping at Broken Spoke, an old-fashioned honky-tonk that’s been known as one of the best dancehalls in Texas since opening in 1964. Pull on your boots and join in one of the dance lessons offered Wed.-Sat. nights. 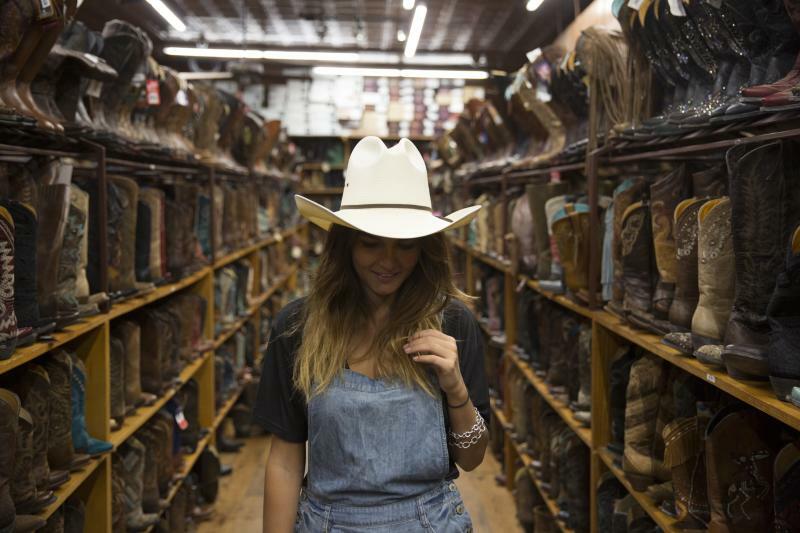 Or get in on the boot scootin’ at The White Horse, Austin’s legendary honky-tonk boasting live country jams and some of the best two-steppers around. The Mohawk. Credit Dave Mead. Head to the Red River Cultural District to hear live music and hang in eclectic bars. See a live show or join in a themed dance party at Cheer Up Charlies, a lesbian-owned bar and music venue that showcases a diverse range of acts. Sip a Kombucha served on tap in the charming backyard sheltered by a pink parachute canopy. 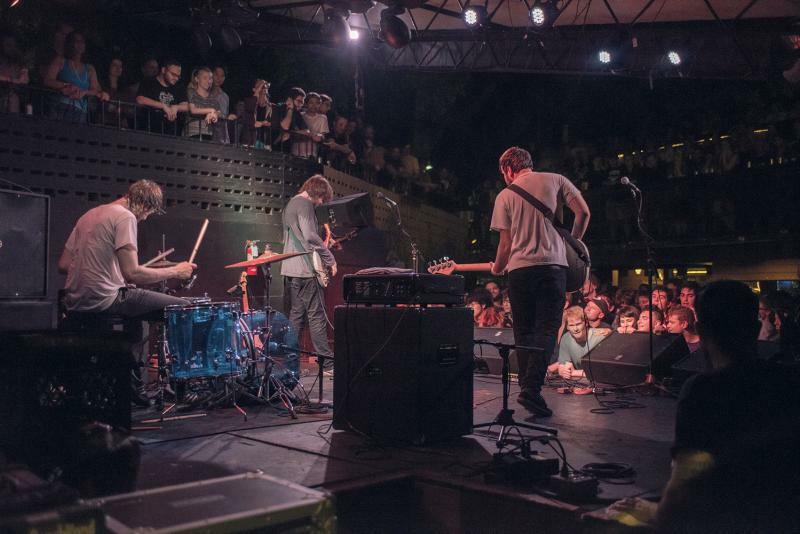 Or catch famous up-and-coming bands at Mohawk and Empire Control Room & Garage. Start the day at the Veracruz All Natural food truck parked at the popular Radio Coffee & Beer. Veracruz is famous for its migas stuffed with eggs, tortilla chips, avocado, pico de gallo and Monterey jack cheese. Take a jog on the leafy 10-mile Ann and Roy Butler Hike-and-Bike Trail at Lady Bird Lake, which winds along shimmering waters and has picturesque views of Austin’s skyline. Rent a kayak or stand-up paddleboard at Congress Avenue Kayaks, SUP ATX or Zilker Park Boat Rentals to explore the glittering waters of Lady Bird Lake, all while getting a body-toning workout. Get a java jolt at Houndstooth Coffee downtown, where the baristas push boundaries with exclusive concoctions like the frozen Japanese iced coffee. 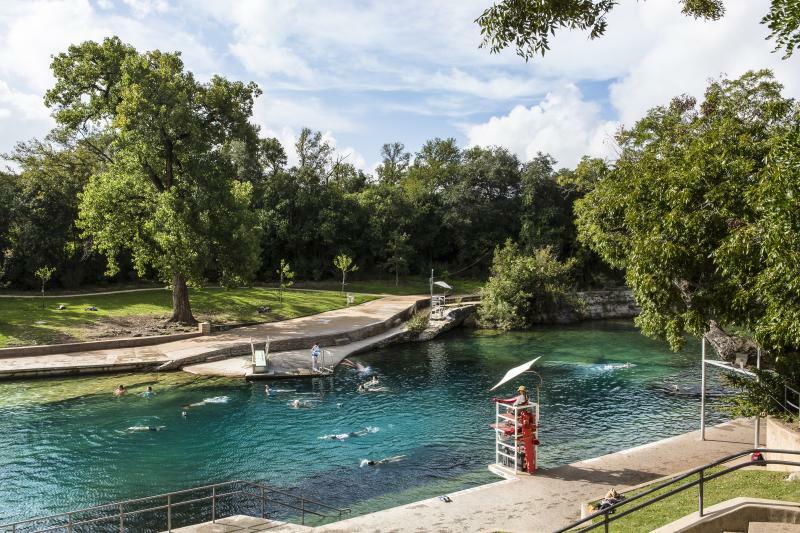 Next, check out Zilker Park, a 360-acre oasis in the heart of downtown that’s the site of festivals and free music at Zilker Hillside Theater, plus it’s home to Zilker Botanical Garden, Umlauf Sculpture Garden & Museum and Barton Springs Pool, a spring-fed swimming spot with grassy hills for sunbathing. Make it a boozy afternoon and pull up a chair in the taproom of urban winery Infinite Monkey Theorem for a flight of Texas-made wine. Or head to Duchman Family Winery in Driftwood (just a half-hour drive out of Austin), where you can take a tour and sample wines in a lovely Italianate villa, including Duchman’s award-winning Vermentino. Stop in the North Austin warehouse and taproom of Austin Beerworks, where weekend tastings feel more like a backyard barbecue, with live music and bites from local food trucks. Whiskey lovers will want to check out Still Austin Whiskey Co., a true grain-to-glass distillery where everything from mashing to barreling and bottling is done in-house. Take a 30-minute tour to see how Still Austin’s whiskey is made, then enjoy it straight up or in a cocktail best sipped in the whiskey garden. Rainey Street bars. Credit Geoff Duncan. 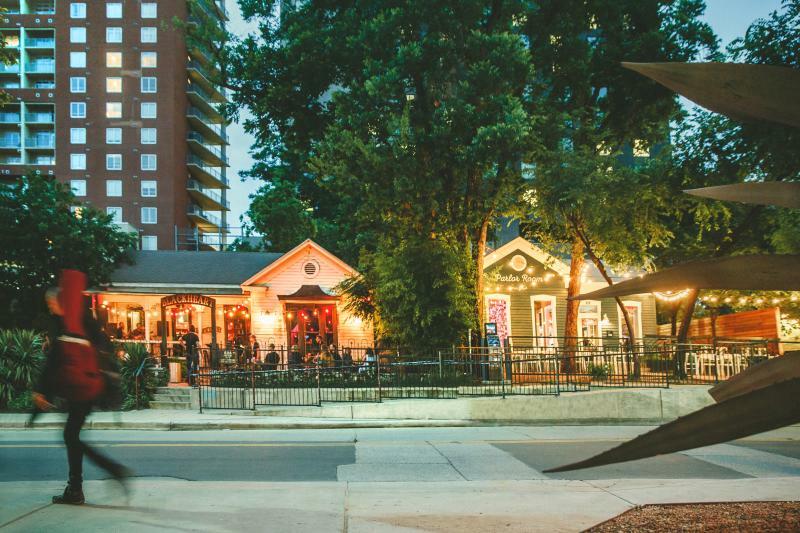 Have dinner and drinks on Rainey Street, a charming block of residential bungalows transformed into trendy eateries and bars. Sample the small plates at the award-winning Emmer & Rye, and stop in for an expertly made martini at Clive Bar. Be sure to check out Anthem, which bills itself as a Tex-Asian pub (with tiki drinks!). And see the newly expanded Banger’s Sausage House & Beer Garden, which added a three-story annex featuring a huge outdoor tap wall, 5,000 square feet of outdoor porches and a smokehouse equipped for whole hog barbecues. View more itinerary ideas and plan your perfect Austin stay today.